If you are going to get into hiking there is not much gear that you really need to get. Sure, there is a whole range of awesome gadgets and gizmos that you can pick up that claim to make hiking easier, safer, more fun and any other list of claims. Some work, others don’t. But really the only thing that you truly need is to make sure you have a good set of hiking boots. 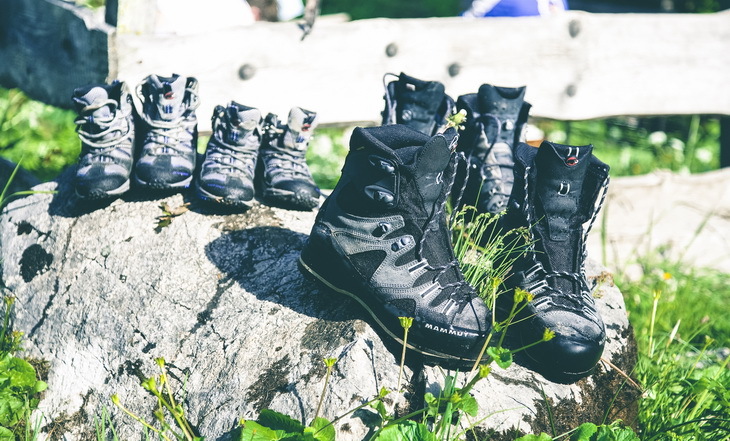 Now if you are reading this you probably have some experience buying shoes, however, there are a few areas that you might want to pay special attention to when it comes to buying a pair of hiking boots. Let’s take a tour of how to choose hiking boots for you. The first thing that you might consider is why can’t you just wear your normally day to day shoes when you set off for a hike. Now, there are several different reasons and some of them depend on what you are wearing on a normal day. If your normal footwear is something that goes well with a suit or is styled for an office setting, you probably don’t want to get them messed up while hiking through the wilderness. But if you are someone that wears more of a gym shoe on a daily basis, you still should look into getting a good pair of hiking boots. Most gym shoes are meant to be lightweight and don’t always provide a lot of traction. 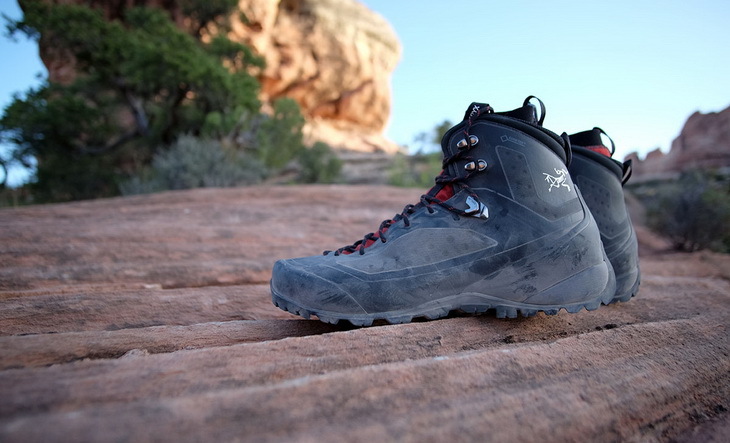 But for a better idea, why not take a look at the different things that make up a good hiking boot. We’ll go through and break down some of the most important things to look for while choosing a quality hiking boot. A boot that performs well in one area might not do as well in another, so you will want to consider what features are the most important to you. 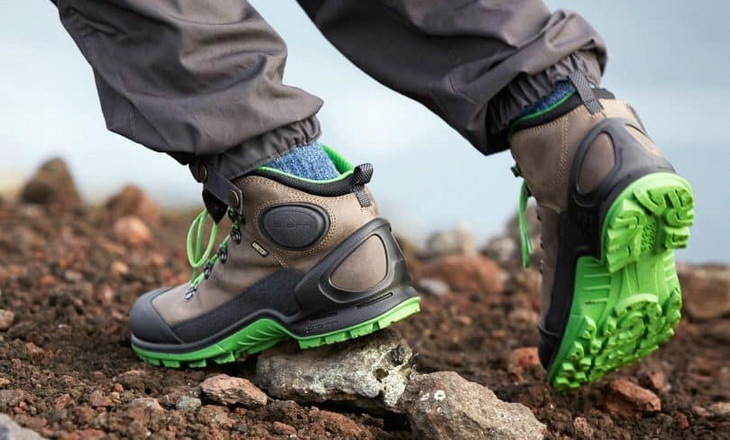 While there is no one “perfect” hiking boot for every person and every situation, once you get a feel for these considerations you’ll have no problem in choosing the right one for you and your plans. Weight may be one of the most important things that a person overlooks in shopping for the boots that they will wear out on the trail. Sometimes a person will try on a boot and not be comfortable with the weight, but still purchase it because of other features. It is highly important to consider the weight of a boot when looking for your next pair. 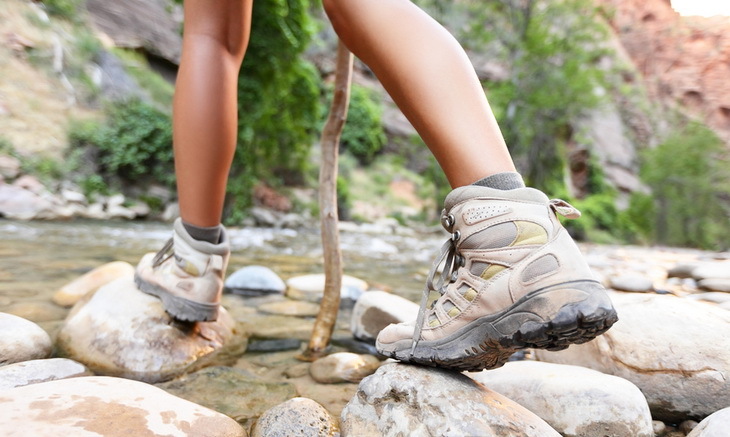 Many experienced hikers say that a pound on your foot is about the same as five pounds on your back. A heavy boot will end up draining your stamina, but it can also cause pain in your knees and hips as you trek on mile after mile. A featherweight boot might not be the best option since it might not provide all the support you need, but remember to take a moment and consider just how heavy a pair of boots are before you purchase them. Sure, it may seem obvious that you want to pick a boot that is comfortable for you to wear. But if you are testing out a pair, how do you measure comfort. The standard way seems to be to put them on and stand up then take a few steps. This is a good first step, but it leaves out some very important considerations. While this will tell you if your choice is highly uncomfortable, you need to consider the longer haul. After covering some mileage your feet tend to swell some, while this is normal, it means that a boot will fit differently at the start of your hike and at its end. When you are testing out a pair you aren’t going to be able to go for a hike, but you should do more than take just a few steps. If you are in a store, do a lap around the store, if you are home wearing them for an hour. Also, consider taking some inclines if possible. Some stores will have a demo area set up to give you the feel of climbing an incline, while stairs aren’t the best choice they tend to be better than nothing. You will also want to make sure your test fit is as close to hiking conditions as possible. Did you remember to wear a pair of your hiking socks? If you normally have a pair of inserts you should bring them along with you to test out a new pair. Sometimes, when you go out for a hike you get rained on. Other times you are hiking on a perfectly sunny day, but the trail has 50 stream crossing and none of them have a bridge. 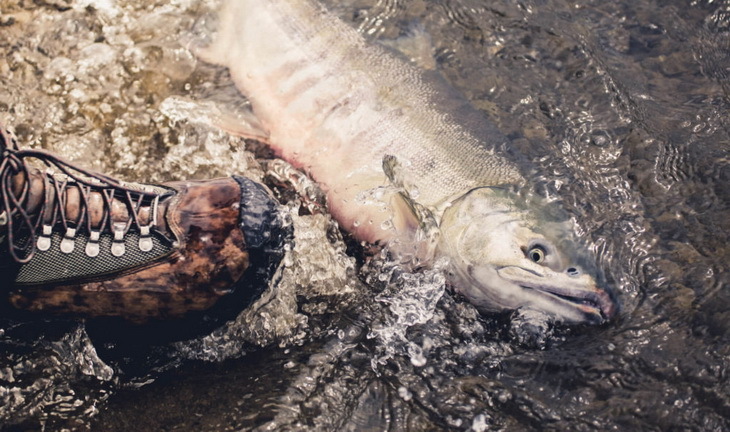 Having a waterproof shell around your foot can be quite an intriguing idea. Many hikers complain about having wet feet while hiking. Some even say that having cold, wet feet are the worst thing that can happen to you while out on a hike. With that in mind, many companies are adding some level of water resistance and waterproofing to their products. Be careful when you read the description that you are given on a boot. Generally, water resistance means that the boots will keep out some degree of water (like in a rain storm) but not necessarily keep your feet dry if the boots are submerged. True waterproofing would be when, even submerged, your feet will stay dry, though even on a waterproof boot, water may find a way in through the top if it is that high. The problem with some waterproofing methods is that they seal the foot in, not allowing any air to get through the shoe. While this may keep outside water off your feet, it means that any sweat that your foot produces will also stay trapped in your shoe. There are some waterproof linings that do allow your foot to breathe as well. You will no doubt see GORE-TEX or a GTX version of a shoe pop up in your hunt for a pair of hiking boots. And if not them, then a company’s proprietary version of it. This style lining gives your foot some breathability while still keeping a shoe waterproof. 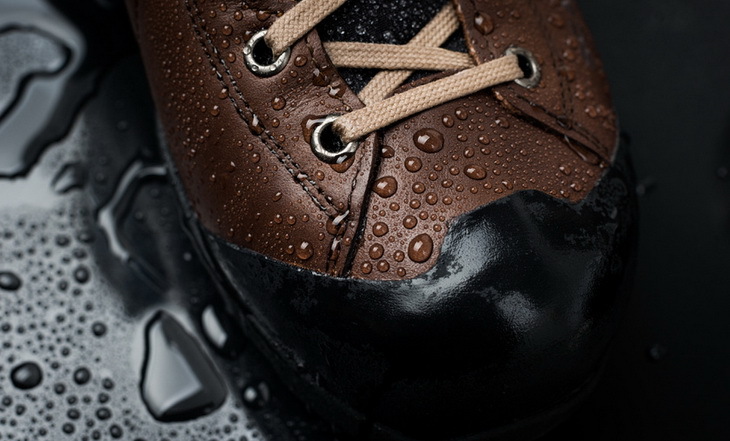 No matter what style waterproofing you have gone with, be careful of how you take care of your shoes. Certain styles of waterproofing need to be cared for in a specific way to keep the waterproofing. While waterproofing is important, some people may find that breathability is the more important of the pair. This can come from hiking mostly in desert climates, where you aren’t looking at encountering a lot of water. If you find that your feet sweat a lot and get very warm no matter where you are, you might find that opting for a non-waterproof option that gives you a lot of breathabilities may be the better road for you to go down. For tips on how to waterproof boots, clink on the link. Depending on the terrain that you are going through on your hike, you may encounter sometimes that the ground under your foot is a bit wobbly. Depending on how high up your hiking boot comes, it can offer some level of support for your ankle as you go on your trek. While it may not have as much support as wearing an ankle brace it could still be the difference between a twisted ankle and completing a hike under your own power. Additionally, consider the protection that your boot can offer you. Your terrain may offer some threats to your feet. They could come in the form of sharp rocks or perhaps thorns and needles of the local plant life. They might also be the teeth or fangs of an animal that you surprised. While your boot isn’t a suit of armor and it isn’t the best idea to go sticking your foot into places just to see how tough your boot is, a good boot may be the difference between the safety of your foot and needing stitches when you come up against that on the obstacle. When looking at your options you will also what to consider if you will need to clean them out between hikes or if they are of the self-cleaning variety. If your lugs get jammed up with mud and pebbles you may find yourself starting to lose some traction. 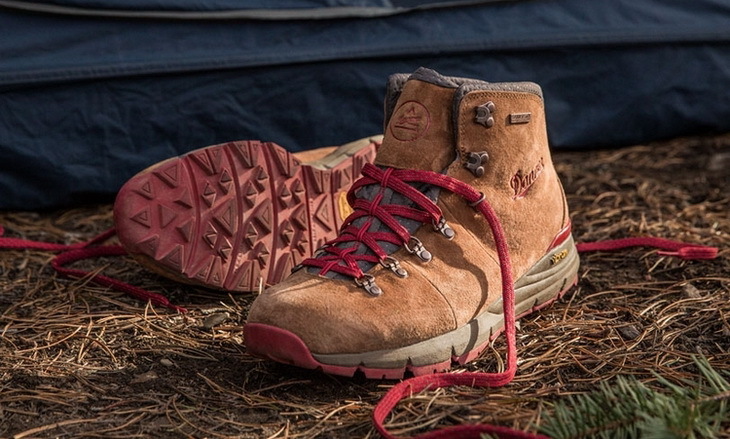 As you have seen there are a number of key points to consider when looking at a hiking boot. One of them is the style of boot that you need, and that may take a bit more discussion. The type of hiking that you choose will depend on what kind of hiking you are looking at getting into and the types of terrain that you are likely to encounter. Remember, that these are guidelines, you can wear whichever type of boot you feel most comfortable with. These types of footwear tend to be a low-cut model that resembles a gym shoe. These tend to offer a good deal of flexibility from their Mid-sole. 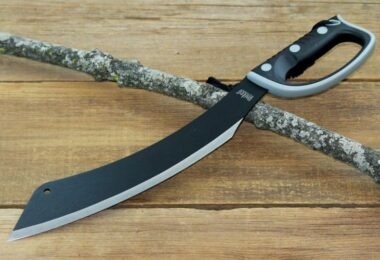 This makes them very popular with day hikers. There are plenty of people that choose them for backpacking hikes to drop the weight they carry, and some trail runners go with these style shoes over a running shoe for the extra traction. While they don’t offer as much support or protection they do normally help you to move along the trail a bit quicker. This style tends to sport mid to high tops and can range from nearly the same style as a hiking shoe to the backpacking boot end of the spectrum. 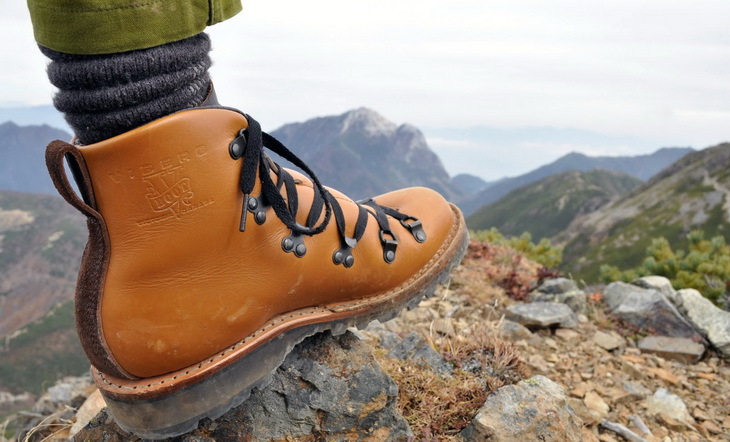 Overall, these boots offer a good choice to start with as you develop your own hiking style. They can also be a great help if you are prone to rolling your ankle as the higher cut and stiffer materials, tend to offer more support and protection than a hiking shoe. While they are great choices for day hikes, they can also handle some backpacking trips, though it may be best to pair them with trips that are only a few days long and ones that you’d be carrying a pack that is a bit lighter. To determine how to choose hiking boots, see our previous post on this topic. These boots are designed to be worn for days upon days while carrying everything that you need to survive. These tend to be high cut in design and stiffer than the hiking boots. This offers even more protection from abrasions and offers more support for your foot and ankle. The soles tend to be less flexible and have a very aggressive outsole, to provide you with more traction while you are out on your journey. Often times, this style will be compatible with cold weather gear, such as snowshoes or crampons. 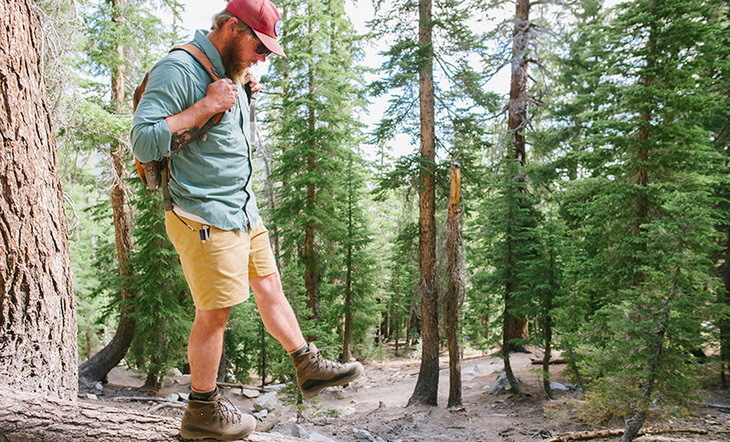 While it is a good idea to break in any hiking footwear, this style demands it. 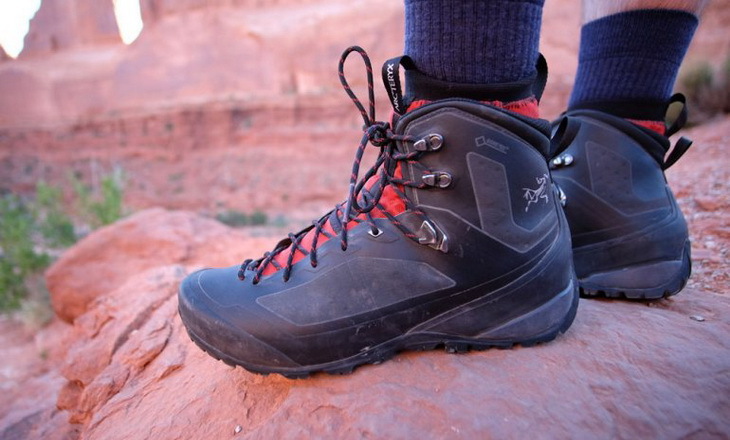 Our piece on the best backpacking boots will give you more options on what to choose. 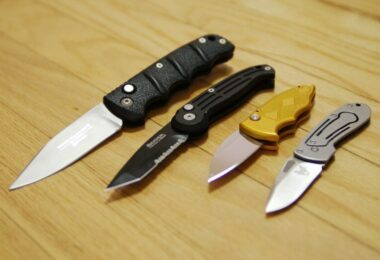 There are an array of things that some people will use for hiking. 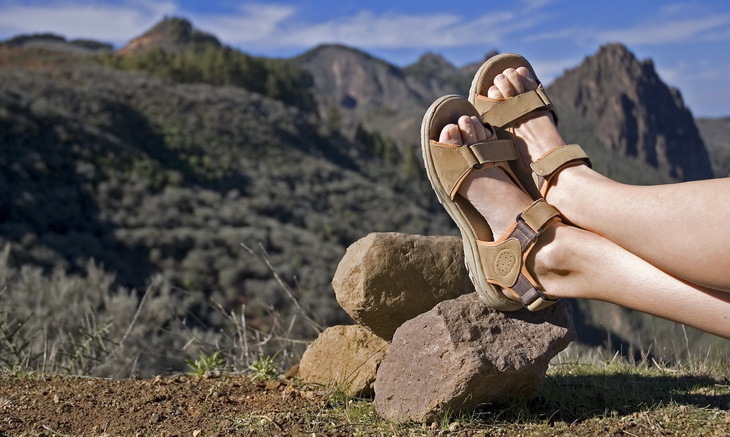 Sandals have become quite popular and a number of brands are now making a hiking style sandal. 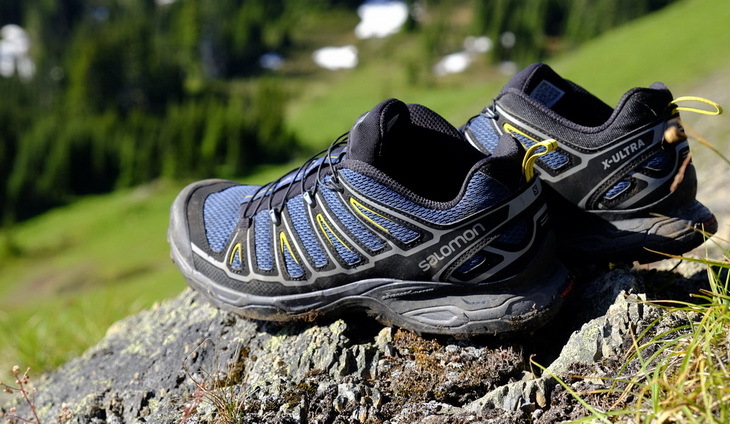 Mountain climbers have used shoes called approach shoes that are a cross between a hiking boot and a climbing shoe that some feel is a great option for the trail. Some people will choose to wear water shoes if they have a lot of stream crossings or if their hike is paired with a water activity, like rafting. While these options may work well for specific hiking trips, a hiking boot is probably still a more well-rounded choice for hiking. As we go over how to buy hiking boots, the final section that we will cover is the anatomy of the boot itself. We’ll touch on some of the materials that are common for each component and why that component is there. This covers everything in the boot that goes over your foot. This is the area that is most affected by your choices for waterproofing and breathability. The upper also provides you with ankle support and abrasion protection. Most hiking boot uppers are made from some type of leather, the most popular options being full grain, split grain and Nubuck. There are some companies that will use a synthetic material so that their boots can be labeled as vegan. 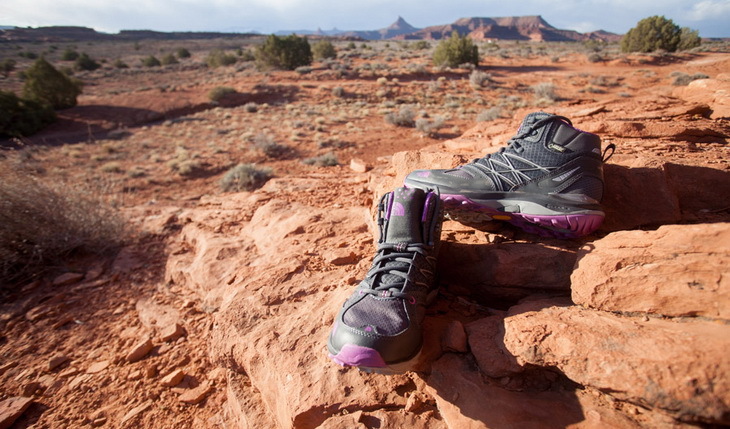 The upper may also sport a waterproof lining, such as GORE-TEX, and some level of insulation. Think of this like your car’s suspension. This part of the boot cradles your foot and determines how stiff a boot will be. A stiffer boot gives you better support on rocky terrain and it will tend to last longer. 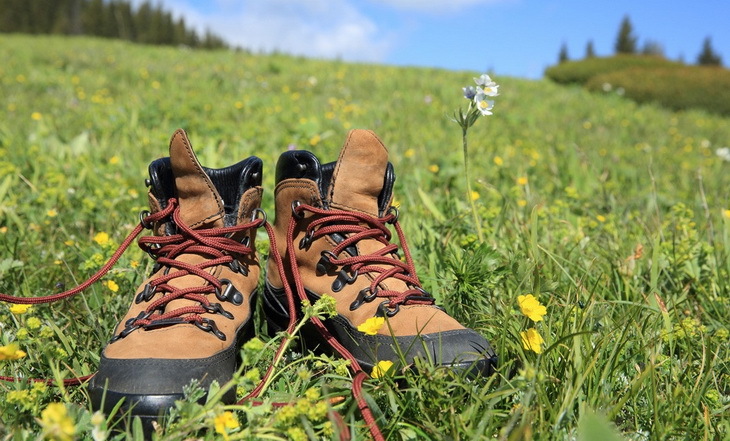 The midsoles of hiking boots are generally made from EVA (ethylene vinyl acetate) or polyurethane (sometimes abbreviated PU). This part of the boot will generally feature any of the internal supports. This is where the rubber meets the road, or in our case the trail. In most cases, the sole will be made of rubber, but there are times when other materials are added, generally to make the sole stiffer. This is where you will get a look at the lug pattern that will play a major role in how much traction a hiking boot has. 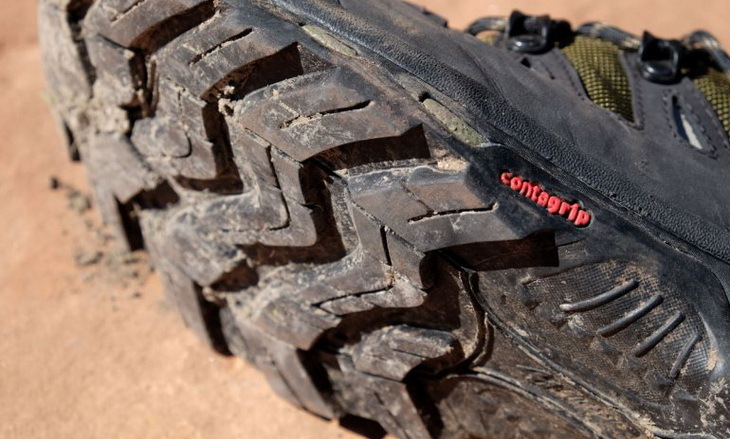 You want a lug pattern that is fairly widely spaced, this will help to shed mud and other debris while still providing you the traction that you seek. With all this information you should be fully armed as far as how to choose hiking boots. It is important to remember that there is no single best answer out there to cover everything that you might want to do. 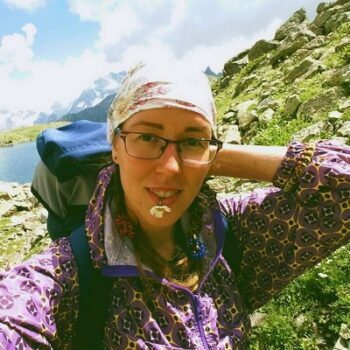 You will need to take a look at your hiking styles, where you go, how many miles you generally cover and make a selection that you think will work well for you. There are a few things to consider, no matter what hiking boots you are looking at. 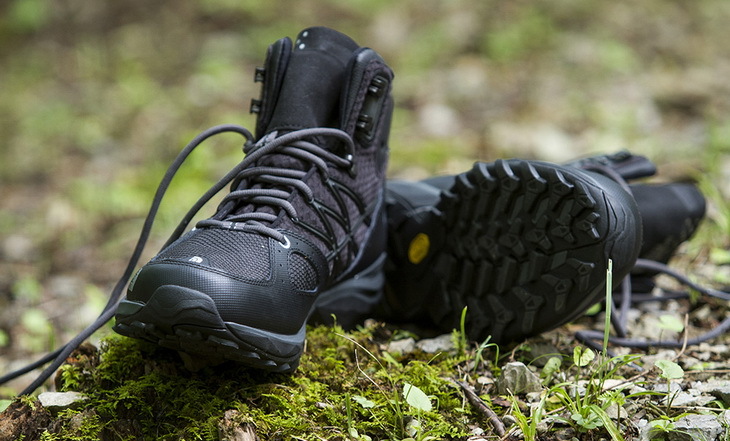 It is always a good idea for you to break in a pair of hiking boots prior to taking them out on the trail. Poorly broken in boots can cause a fair deal of pain as the miles rack up. If you are headed out on a backpacking trip, remember to take a pair of “camp shoes” to give your feet a rest from your boots. And lastly, hiking boots are similar to running shoes in that they don’t last forever. A good rule of thumb is that about every 500 miles you should look at replacing them, so you don’t lose support and comfort. But now it is your turn. What do you look for in a good pair of hiking boots? Let us know in the comment section below. Also, don’t forget to share this out on social media. You can never be too sure of who is in the market for a pair of hiking boots.